The words shocked her, spoken fluently in familiar language. She turned to face him. Words rose to her lips but remained unspoken. He examined her, openly casting his gaze up and down her body as if he owned her. The terrible realization struck her—he did own her. She had been caught up at his command and now stood captive to his whim. Now everything has changed. In Book II of Caerwin’s story, she faces even greater challenges. Marcellus plans to take her away from her home in Britannia, the familiar birdsong and wind, the seasons that have defined her life. She refuses but since when did her refusal mean anything to this infuriating overpowering man? 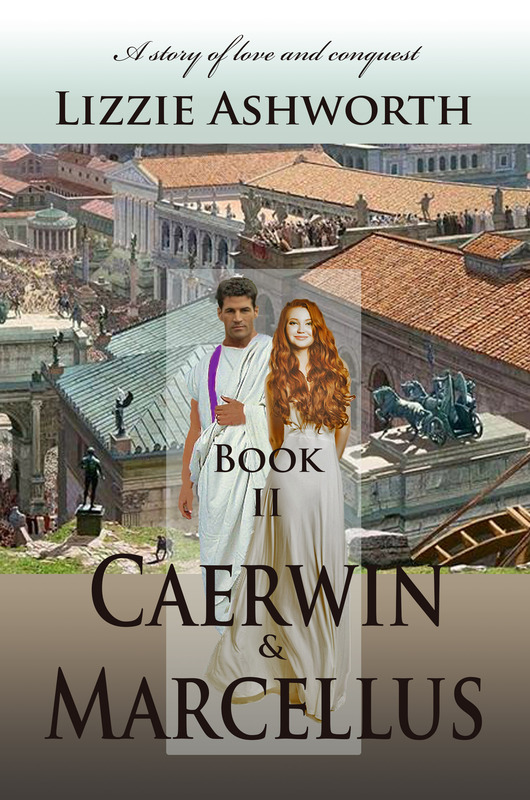 Journey with them across the English Channel, across Gaul and the Gulf of Lions and arrive at the outskirts of Rome where for the first time Caerwin witnesses first hand the stunning glory of marble temples, vast markets, and the simmering tides of humanity greater than anyone could have imagined. Meticulously researched, Caerwin & Marcellus explores the realities of a male-dominated society where women and lesser men were seen as objects of ownership, sexual exploitation, and desire. The plot weaves through the intricacies of Rome’s fledgling legal system which still serves as the foundations of modern law. Overall, the story offers romance, eroticism, intrigue, history, and characters whose lives sweep along with inexorable drama.